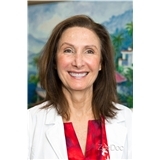 Cheryl Kawalsky DDS Family Dentist (Farmers Branch) - Book Appointment Online! Proudly serving the Dallas and surrounding areas! Excellent service and very friendly. As a deaf person I never had any problem with communication with the reception and my dentist. I love coming in to great service like this place. Thank you!